What is the the purpose of LLMNR? LLMNR allows hosts on the same subnet to be able to resolve hostnames without the need for a DNS server. It is based on DNS and the best write up is still by Joseph Davies for his Cable Guy articles. It is more useful for home network situations or where teams are building out temporary wireless or wired networks to collaborate. Unfortunately, LLMNR isn't utilized by Linux or OSX at all. Apple came up with mDNS and later DNS-SD to address the name resolution issues for local networking and it appears that some Linux implementations utilize that also. There is a nice write up of some of the Zero Configuration Networking options on Wikipedia. For network engineers who spend their days designing IP network and running BGP the thought of running Provider Assigned (PA) IPv6 address space is often meet with a look of repulsion and disdain. Given the relative easy for most enterprise network engineers to run multi-homed BGP and to have redundant Internet Service Providers with a single IPv4 or IPv6 address block this might be a justified reaction. However, there are cases for smaller businesses and even smaller branch offices to run IPv6 PA address space that might make sense. For instance, if you have a remote office that has limited service provider options and perhaps it is not cost effective to run BGP at the remote site you can utilize PA space to dual stack the site and simply put IPv6 ACL's in place to building corporate access policies. For small businesses it makes little sense to try and BGP multi-home due to the hardware and engineering talent required to maintain such arrangements. Considering how infrequent it is for a company to change ISP's for a given location it is not inconceivable that turning up a new service provider and migrating to a new PA block is a reasonable solution for many. The biggest outcry I hear most often is from System Administrators who seem to think changing IP addresses will break all their server configurations, printer settings and other items. My calm reply is that they can continue to utilize IPv4 RFC 1918 space as they were and that if they are not using DNS for name resolution by now then they should likely not have that SA job anymore. DNS allows for an easy migration from one PA block to a new one with minimal impact. In addition, you can utilize DHCPv6 to manage resources and the lease times ensuring that the migration can be quick and relatively painless like most other maintenance windows for OS upgrades or WAN service provider transitions. In addition, hosts are designed to have multiple IPv6 addresses in use at the same time which theoretically means the host would control the timing of the cut-over from one PA space to a new one. To top it off, it could be argued that for MPLS or other WAN services it might make sense to get PA space for those point to point links and allow for better summary aggregate routing for the Provider Independent (PI) space you do have as /48 sites without wasting a /48 for WAN or VPN links within your network. You could even put route filtering in place to prevent the propagation of the PA space out of your network which would control transit WAN/MPLS traffic loads. Just because the Global Unicast Address (GUA) space you get from your provider is available to route globally doesn't mean you have to advertise it or even have the service provider advertise it either. With the recent introduction of RFC 6296 it is possible to migrate from one prefix to the other in one move but to do this requires some downtime while the prefix replacement happens. It also introduces the problem of what IPv6 address does the host actually have at any given moment (it won't have both like a migration.) Realistically it breaks the end to end transport by being yet another version of NAT. While it is a good tool to have I don't advocate utilizing it unless the use case truly dictates needing it. Just migrate to a new IPv6 address block and things will work as expected. Hopefully your business will grow enough that the migration will be to PI address space and you only have to do the migration once! I have to be honest, I am not a huge fan of the idea of IPv6 ULA (unique local addressing) at all. I have seen several use cases presented and even some knowledge based articles written saying to use it such as this one by Apple. There are ULA address prefix generators like this one at SixXS which are useful if you want to do ULA, my question is WHY? At the core of the question is what do you gain by doing ULA that you don't get with doing Global Unicast Addressing? I would argue you get no benefit of having to global register a /48 ULA then simply applying for a /48 or larger from ARIN or one of the other regional registries that provide public IPv6 address space with the exception of price (which could be a big deal for some small businesses but just get your IPv6 address space from your provider for free then.) Furthermore, ULA by definition in rfc4193 cannot be routed globally and must be filtered at the edge which very much limits your IPv6 deployment and ensures you have to either deploy Global Unicast Addressing at a later date or do prefix translation as described in rfc6296 which is a viable solution but seems to introduce yet another network translation component on the network when one is not needed if you simply used Global Unicast Addressing the first time around. The other concern I have is some OS platforms not behaving as expected when getting ULA addresses. Ideally all OS behavior with ULA would know that you don't have global IPv6 access with a ULA at all but if you are using prefix translation is that still true? Also, since IPv6 is preferred do we run into a case where the network team is putting ULA in play and breaking some of the default OS behavior that is desired for transitioning to IPv6? Given the fact that the effort is almost identical for deploying ULA and it is Global Unicast I am not convinced that ULA is something that is needed or should be recommended. I would love to hear feedback on this one. The few corner use cases I have heard still do not seem to overcome the argument of just using Global Unicast. If you missed the gogoNETLive! 2 IPv6 Conference that happened at San Jose State University last week you can still get a chance to see the content from the conference. Almost all the sessions were recorded and the video and pdf's of the slides will be posted soon. I encourage you to check out last years content also, the majority of that is still applicable and a valuable baseline for understanding what is happening in IPv6. The next big IPv6 events happening will be the IPv6 World Congress in Paris, France and then the re branded Rocky Mountain IPv6 Summit which is now being called the 2012 North American IPv6 Summit. The North American IPv6 Summit is by far the largest IPv6 event in the US and is expected to have over 500 folks attending and will likely sell out. If you have any interest at all in getting good practical IPv6 knowledge from real world experts both these events would be worth your time and effort. Thank you to all who showed up to see me present at the Los Angeles Pacific IT Professionals User Group meeting on Tuesday. The crowd was wonderful and asked some great questions about IPv6. We ended up changing the topic a bit at the last minute for the meeting to better tailor the content to those who were signed up to attend. As a result, the presentation was titled "The What, Why and When of IPv6 - should I even care?" and the presentation was focused on the basics of IPv6, what is it, why should I care about it and when it affect you or your clients. It covered some basic background about the IPv6 protocol, what products and technologies are utilizing it today and how that impacts what you do as an IT Professional. The presentation is available to download from the user group's MeetUp site - just register and you can download it. Lots of thanks to Microsoft MVP Jessica DeVita who hosts and runs the meetings, she did a wonderful job as always and to Microsoft MVP Richard Hicks who presented on DirectAccess immediately after me. Also, Cisco made up some IPv6 ground in their ACE platform with their new code release announcement on the Sept 20th. As of ACE A5(1.0) which added some much needed IPv6 features. Shannon McFarland has a great write up on his blog so I won't bother repeating it. I do now have to modify my support statements about ACE and IPv6 so for those Cisco SE's who have seen my presentations in the past please read the release notes and Shannon's blog - it will clear up a lot of items. To round things out, the gogoNETLive!2 IPv6 conference is open for registration now. The conference is Nov 1-3rd and if you sign up prior to Oct 1st and use the discount code "earlybird" you can get 25% off. If you are a student simply use the code "student" and you will get 75% off - you need a valid student ID to show at the time of the conference or you will be charged the full price. The line up of presenters is great and they will be adding more! This conference will be worth both your time and money to attend. On Tuesday, September 20th at 6pm I will be in downtown Los Angeles at the Pacific IT Professionals User Group meeting presenting on Deploying IPv6 in a Microsoft Enterprise Network. In addition, Richard Hicks (fellow MVP) will be presenting on DirectAccess. I'm excited that Jessica DeVita (another MVP!) who runs the group invited me to come and present. If you are in Los Angeles and want to come join us the event is free to attend and you can sign up at their MeetUp site. I will post the presentation after the event, I'm still updating some of the content. A quick abstract for my presentation. Abstract: The presentation is focused on the basic deployment items that system and network administrators need to pay attention to for Enterprises networks that are primarily Microsoft focused. Topics covered include default IPv6 behavior of different Windows OS's, when transition technologies are enabled, what Microsoft products will use IPv6 and deployment guide modifications for Exchange, DirectAccess, Forefront UAG and TMG. In addition, if time allows, some design challenges around DHCP and DNS and how Windows 7 will behave vs Apple OSX or Linux implementations. I recently attended one of the ARIN Road show events and one of the topics of discussion was the recent change in IPv6 allocation justification. I wanted to review through the new policy guidelines and give more of a quick overview guide and thoughts to what they are doing in their approach to IPv6 address allocations. The quick and dirty for those that have an existing ASN and are multi-homed is that you automatically qualify for a /48 delegation from ARIN which is considered a single "site." Translating that into number of subnets you have to build out as /64 networks is 64-48=16 which would be 2^16 or 65,536. If you have more than 49,152 sites you should look at the ISP Address Space Guidelines, that will cover the allocation requirements for much larger organizations. As you can tell, it is pretty simple, you take the largest site you have and use that as the allocation basis. More than likely it fits within the /48 definitions. If so, then the allocation rules above (which allocate on natural nibble boundaries) are very generous. Keep in mind, the largest site you have dictates the use case so the reality is even if you have a smaller remote office with 12 folks they will get a /48 in this design. It allows you to grow that site to be identical to your largest current site topology. The /40 allocation is really large, if you are at 16 sites for example you end up with 256 sites (because of the round up to the next nibble boundary) with /48 address blocks each with 65,536 /64 subnets. That /40 is 16,777,216 /64 subnets for a single organization to operate and use. If your organization today is making use of RFC 1918 IPv4 address space this allocation is identical in terms of the number of subnets in IPv6 verses the total number of IPv4 addresses in RFC 1918 10.0.0.0/8. You get as many subnets in a /40 delegation from ARIN as the total number of addresses you are used to using in RFC 1918 10.0.0.0/8 IPv4, that is an insane amount of address space! By moving on a natural nibble boundary ARIN is being incredibly generous with IPv6 addresses but they are also simplifying the routing table by summarizing on easy subnet boundaries. They are gambling that the routing table summarization will pay off long term with service providers supporting end user delegations. This assumes that end users are not going crazy breaking up their subnet advertisements from their early initial allocations or at least do them on even nibble boundaries. So, from the example above you can see that ARIN is doing the opposite of the sparse allocations traditionally done for IPv4. They are massively over allocating IPv6 address space in the hopes of not having to re-allocate address space and also simplifying the routing tables at the same time. Seems like a good plan out of the gate for now but I wonder what challenges there will be with some of the multi-national organizations that are getting IPv6 address block from multiple regional registries and each request is including all their "sites." Arguably the IPv6 address space is so large it really doesn't matter but I think more on principle that it is potential wasteful. Thoughts? I will be presenting an updated version of my Rocky Mountain IPv6 Task Force presentation tomorrow at the Pacific IT Professional User Group meeting at Microsoft's office in San Francisco on August 2nd. It is a free and open meeting to attend. Only request if for everyone to RSVP so they know how much pizza to order. Hope to see you there. Next week I will be presenting at the Rocky Mountain IPv6 Summit in Denver, CO. I'm excited about this for two reasons. First, I will be talking about IPv6 which for folks who know me is something I can't seem to not bring up in technical discussions. Second, I will get to see my daughter Briana while I am in town as she is attending CU Boulder. If you are attending the event I hope to see you in the enterprise track. I will be presenting Deploying IPv6 in a Microsoft Enterprise Network. After my presentation will be William Dixon with Microsoft doing a live demo of Windows 7/Server 2008 R2 DirectAccess. Earlier in the day will be Shannon McFarland with Cisco presenting Enterprise IPv6 Deployment Overview, that should be really good. I must admit I am disappointed that Scott Hogg will not be presenting on IPv6 Security. Scott has a huge depth of knowledge and is the chair of the Rocky Mountain IPv6 Task Force. Maybe I can twist his arm to do side session during the lunch break one of the days. I will post up my presentation after the event, it will also be up on the RMv6TF website to download too. For those that may not have heard I recently changed jobs and have a new employer. I'm excited to be working with several engineering friends whom I have know for a couple of years at my new job and looking forward to some additional roles I will be playing. I also hope to make a few more conferences, user group meetings and trade shows to talk about IPv6 and the impact it will have on enterprises in the near future and what sort of planning and design work they should be engaged with to reduce the disruption that could potentially happen with an unplanned hurried roll out of IPv6. Overall, I am excited about the year and projects ahead and hope to get a few posts up about IPv6 experiences I can share to help the community. I will post my presentation deck for the Rocky Mountain IPv6 Task Force IPv6 Summit after the event on April 25-27th, I will be presenting "Deploying IPv6 in a Microsoft Enterprise Network"
I finally have taken time to gather together some useful netsh commands and their output that can be used in Windows 7 and Server 2008 for learning your IPv6 configuration information. This is partly inspired by Chris Vashel who kindly posted a comment on my previous IPv6 post regarding Windows 7 and Server 2008 R2 and provided some quick netsh commands to turn off some automatic tunneling behavior of Windows. I want to cover a bit more then just turning off the IPv6 tunneling as Chris outlined (and I am including here again for reference) but also show the other fantastic IPv6 support that Microsoft has built into Windows 7 and Server 2008 R2. There is too much for one post so this will likely take a few, keep any eye out for updates. From the above information I can determine that I am getting my IPv6 address via SLAAC, no DHCPv6 is running and I am getting an RA from the router and it is providing me with a default gateway that is using its link local address and not it's global unicast prefix address, which is the default behavior expected. The netsh command provides confirmation that the command worked so if you are scripting you can parse the output to validate the change. Remember that 6to4 tunnel only happens if the Windows platform has a public IPv4 address assigned to it's interface and no other native IPv6 option is available. You will most commonly see 6to4 traffic in cases where servers are in a public DMZ with public IPv4 addresses and in cases where Windows clients are in "guest" networks where they are also provided public IPv4 addresses. A more common scenario is wanting to disable Teredo tunneling since it is explicitly designed to work on devices that have IPv4 addresses behind a NAT device and with an RFC 1918 IP address. The majority of SMB and Enterprise networks are built this way today so the concern is valid. Teredo can also be a problem for Windows 2008 deployments if the servers are in the DMZ or Inside network and functioning as stand alone devices that are not joined to an Active Directory domain. When Windows 7 and Server 2008 are NOT domain joined and have a valid RFC 1918 IPv4 address only, the OS's will attempt to run IPv6 on ISATAP first, if no DNS entry exist for ISATAP then they will attempt to use Teredo. So, Teredo is enabled by default but not necessarily active. Furthermore, if Teredo is the only IPv6 available the OS will NOT send AAAA queries in DNS by default - a good default protection behavior as it is unlikely the Teredo server you are connecting to is also a Teredo relay server which will forward traffic to the bigger IPv6 Internet on your behalf. As a final measure you can turn off ISATAP. This will prevent the OS from building out an IPv6 tunnel utilizing ISATAP which would be advertised in DNS. The alternate way of controlling this is by poisoning the isatap. entry in your DNS. Remember, ISATAP is typically deployed for a transition service so the nice thing about having ISATAP enabled in the network is that it prevents Teredo from running as ISATAP is preferred. As a final thought, the nice thing about doing these commands is that you can still leave IPv6 enabled on the OS. This allows for supporting native IPv6 in a dual stack configuration in the future without breaking IPv6 completely. So when the time comes to start turning on IPv6 (Global or ULA) in your network the servers will behave properly. Remember, the rule of thumb for IPv6 is go native where you can, tunnel where you must. 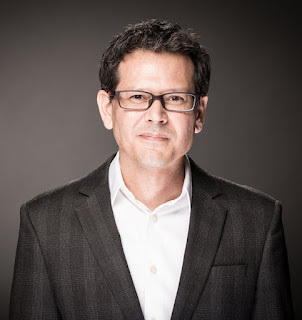 Take a look at Scott Hogg's blog post for a great write up on why going "Native" is important. Plus his daughter's artwork is awesome! For those Microsoft MVP's attending the 2011 Summit who are interested in IPv6 I have scheduled a meet up. It is planned for Monday, Feb 28th from 12-2 in building 37 on the Redmond campus. I know many of you already have sessions scheduled for your specific MVP tracks but if you are interested in IPv6 please consider joining us. Quick introductions - interest and involvement in IPv6, etc. How are Enterprise professional learning about IPv6? 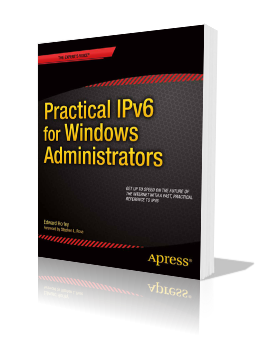 How is Microsoft in general or the Microsoft partner program support IPv6 training for partners? Do consumers have to learn about IPv6? How is MS set up internally - who do I contact within MS about IPv6? If you are interested in participating (You have to be a current MVP or Microsoft Blue Badge) please comment below and I will add you to the list. We have limited space available for the room and we are almost full so please make sure you are willing to actually attend to participate. You will likely miss one of your sessions so check your schedule to see if it is one you are willing to forgo. It is unlikely that most of the topic material will even get discussed given it is only 2 hours but having a large list of topics allows for people to break up and address specific topics offline after the meeting. If you have other suggestions of topic items to add to my list please comment and I will add them in. 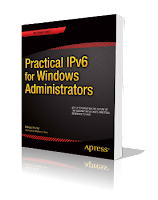 I was reviewing some Microsoft materials related to IPv6 for some presentations I am putting together and ran across some great material by Joseph Davies again that goes over some very specific reasons why it is bad to disable IPv6 on Windows Vista and Windows Server 2008 which of course also applies to Windows 7 and Server 2008R2. In summary, you have the potential to break features in Remote Assistance, HomeGroup, DirectAccess, and Windows Mail. 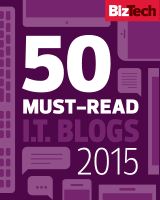 I would add BranchCache, Exchange Server 2007 and 2010, Microsoft Outlook and several of the tunneling methods. I do believe there are legitimate reasons for wanting to control the IPv6 traffic that Windows 7 or Server 2008R2 is generating on your network. I would also argue that the way to do this is by having IPv6 deployed in your network so that you can have a consistent policy that matches much of what you do today for IPv4. Obviously there are different ways to deploy IPv6 but I think that a dual stack/native IPv6 deployment makes for the best solution long term. It allows the flexibility of getting to IPv6 resources and allows for a longer transition windows for IT groups to migrate all services to IPv6. One of the surprises for many people deploying Windows Server with Exchange and using the recommended deployment practices from Microsoft is that you could have stand alone servers in a DMZ or outside your network that are NOT AD domain joined. They are in "workgroup" mode and this means that if they have a public IPv4 address they will generate a 6to4 tunnel automatically and if they are using RFC 1918 IPv4 addresses they will make use of teredo tunnels automatically. This behavior isn't desirable for most enterprises and can easily be resolved by either turning off IPv6 on those specific servers or by setting up a dual stack configuration for the server with appropriate firewall rules. Obviously you need a network firewall that can do IPv6 or rely on the Windows Firewall to do this function. So for those that reference my earlier blog entry about turning off IPv6 tunneling - seriously consider if you really need to do that or not. You need to evaluate your scenario and determine what is right but if there is a chance you might need the OS to do one of the tunnels then doing some of the network blocking methods I mentioned might cause more work in the end. IANA finally allocated out the last five /8 IPv4 address blocks this morning in a formal ceremony in Florida. So the free pool of IPv4 address block is done - there is nothing left to hand out to regional registries at all. I guess we are starting off the Chinese New Year with a bang. Silly little rabbit - IPv4 addresses are for kids! Now I wondering how the IPv4 address request rates are doing at all the RIR's for this month. ARIN has their press release up on the event here. For those keeping track of IANA's IPv4 /8 delegations to the Regional Internet Registries (RIR) the final blocks 2 /8's have been assigned, 39/8 and 106/8 went to APNIC. You can see the IANA IPv4 Address Space Registry for details of how things are delegated out not that it will help much but it is interesting to see some of the Legacy allocations. So the next 5 /8's will be allocated automatically here shortly - guess IANA wanted to do that slower then all at once with the other 2 /8's going out to APNIC. So that is it - IPv4 address space is officially exhausted. From a practical perspective not a lot will change until the RIR's start running out of address block. The rates will vary for each RIR and Stephen Lagerholm has a great blog on the run rates and what the timing likely will be until they have no IPv4 addresses to hand out anymore. So what will everyone do once that happens? Luckily the Answer to the Ultimate Question of Life, the Universe and Everything is 42... or is it 2^128? If you follow anything on IPv6 you likely noticed that several of the bigger Internet web companies like Google, Yahoo! and Facebook all announced support for World IPv6 Day via the Internet Society. The concept is pretty simple, these bigger web companies will enable IPv6 on their main websites - effectively adding a AAAA record for their primary web address. Most of the current bigger players have IPv6 up and working already but are using an alternate name space to direct folks to a specific AAAA record. So, for instance, instead of http://www.google.com/ you go to http://ipv6.google.com/ - a minor thing for those in the know about IPv6. However, it makes it almost impossible to see the impact of publishing a super important fully qualified domain name space (like http://www.google.com) with a new AAAA record since only the people who already know about IPv6 and are likely technically savvy are using the alternate name space today. So the challenge for the big boys who want to see what sort of impact publishing an AAAA record for their primary URL will be is the fact that losing any traffic impacts revenue. Because it is possible that an end user who is trying to get to Google and has a broken IPv6 connection will fail to see a webpage if Google has published a AAAA record. They might try a different search engine - say Yahoo! and if they do NOT have a AAAA record published the website will come up just fine on IPv4 assuming that is working for the end user. Lost revenue for Google. Executive types don't like that sort of thing... neither do shareholders. So how do you solve this problem when you are a company like this? Effectively they have all gone in together and said let's all test the same day. That way if an end user is broken in regards to IPv6 connectivity they won't be able to get to Google but if they try Yahoo! the situation isn't any better. Neither company loses revenue to each other, they both might take a marginal hit but it is proportional and clearly acceptable if all parties are willing to be fair. The interesting question is does this really impact end users at all? Is World IPv6 Day anything to really be excited about from an end user or even enterprise IT group perspective. Outside of being able to use the regular fully qualified domain name to reach a resource via IPv6 I would say no. Honestly, most organizations (actually almost all) do not fit in the category of having to worry how many millions of folks are reaching them and impacting their revenue day to day. So, how can you best leverage IPv6 World Day? I would argue it would be a good day to already have IPv6 operationally running in your network, to have firewalls configured, routing working and end stations operational as a dual stack. If you have made it that far then IPv6 World Day means that those bigger web companies will actually get some meaningful data about IPv6, it's adoption rate and what they can do to better support it. The end goal of all of this is to switch from "IPv6 World Day" to "IPv6 World" because the reality for the Internet is that the adoption has to happen and it needs to happen quickly. I don't have a problem with IPv6 World Day and I understand why the big web companies are doing it, I just think why wait? For everyone else there is little to nothing to lose but moving sooner rather than later. Chose the easier services like DNS and email to turn up on IPv6. Once that comfort level is there get the company website up on IPv6 too and you will be that much further ahead.